The Punta de Mita Foundation will award a MX$60,000 grant to the best sustainable project or projects; the call for projects ends July 22, 2016. The Punta de Mita Foundation has launched a call open from Nuevo Vallarta to Lo de Marcos for the Banderas Bay Conservation Fund in search of environmentally sustainable projects. 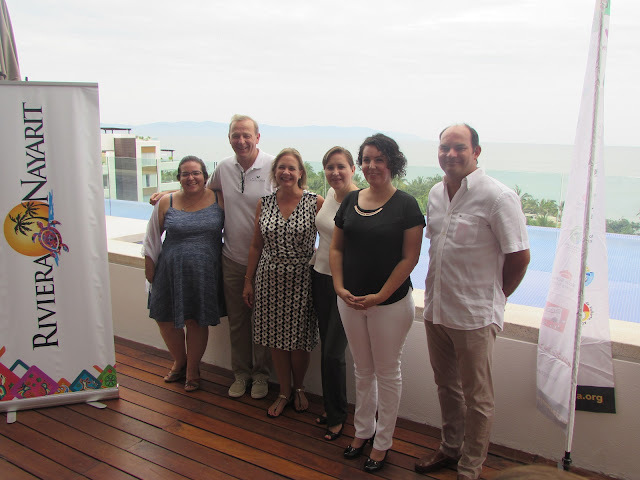 The announcement was made during a press conference on Wednesday, June 29, 2016 at the Marival Residences in Nuevo Vallarta. Greg Stanton, Head of Operations and Donor relations for the foundation; Executive Director Lisa Schalla; and Program Coordinator Minerva Zamora were present to offer details. The Banderas Bay Conservation Fund was established in 2014 in order to support civil associations and grassroots groups who work towards the conservation of species and natural habitats in the region. A team of professionals highly qualified in environmental topics, including academics, biologists and experts will vet the projects presented during the call. The grant ascends to MX$60,000, plus a minimum of 20% matching funds on behalf of the petitioning organization. The fund is subsidized by sales of the Guía de Campo Viva Natura book and donations by individuals to the Punta de Mita Foundation. This grant is offered in honor of Rick Main, who was a staunch defender of the environmental throughout his life and who loved Banderas Bay and its natural riches. Proposals must be sent in accordance to the stipulated regulations no later than July 22, 2016. For participation and download instructions click http://fundacionpuntademita.org/convocatoria-conservacion-bahia-de-banderas/.